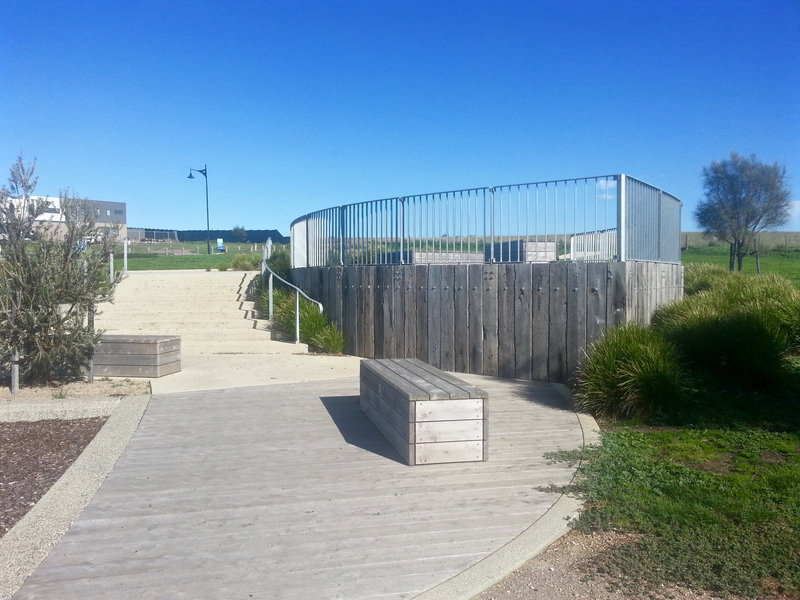 Beach Vista Drive Playground and Lookout is located on a waterfront grass reserve in the new Baywater Estate section of Curlewis. 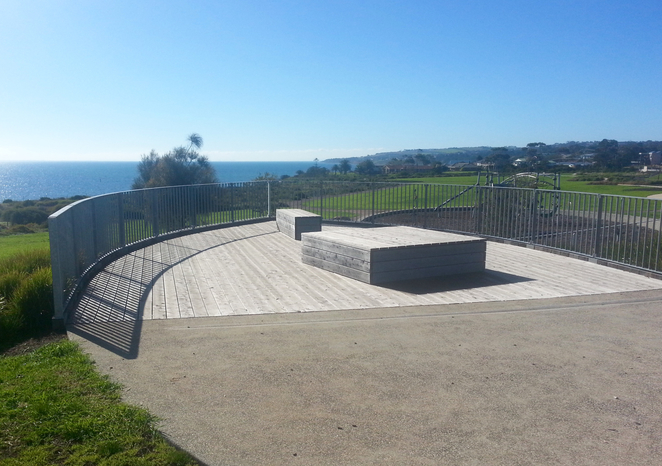 It features a lookout with wooden seating that offers a great view of the bay and is perfect for boat-spotting. Adjacent to the lookout, there's small a playground, which has a range of play equipment, including a roundabout, spinners, climbing ropes and other climbing structures. 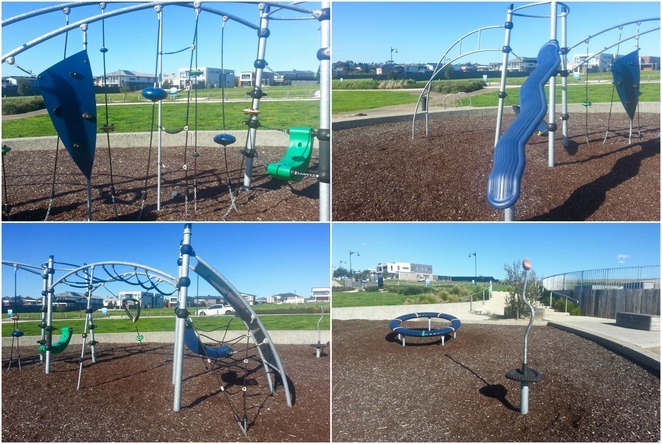 The equipment appears to be fairly new and well-maintained, and seems best suited to older children. A large grass reserve makes it an ideal place for a picnic or to let the dog have a run, and there are sealed pathways, making it good spot for exercise or a gentle stroll. 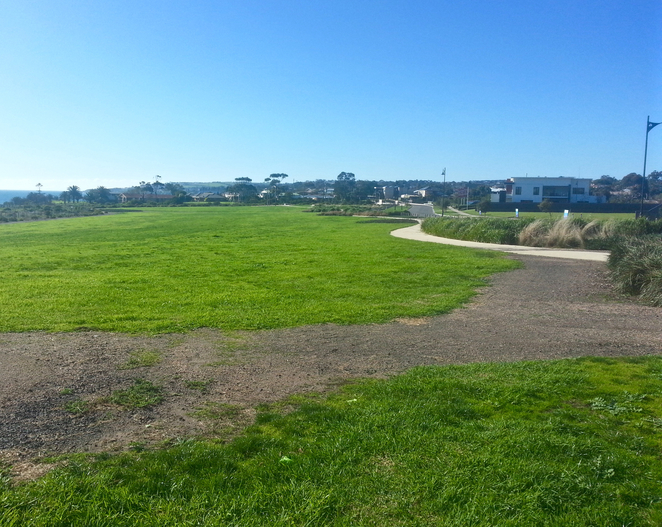 The gardens are well-maintained and feature a range of native shrubs and grasses. Carpobrotus Rossii, also known as pig face, a native Australian plant. 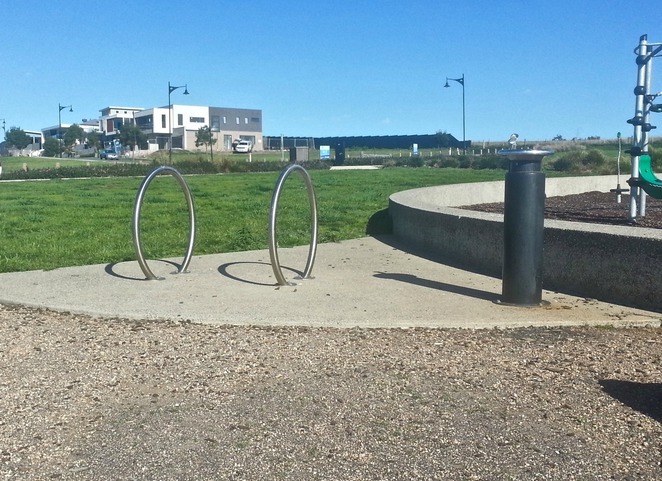 In terms of facilities, there's a rubbish bin, drinking fountain and bike parking rack, however there are no toilets, and the closest public toilets appear to be at Clifton Springs Boat Ramp (about 3 minutes' drive back along Beach Vista Drive). 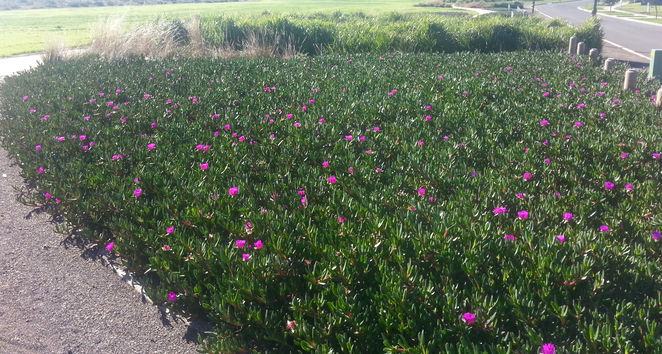 Free street parking is also available on Beach Vista Drive and surrounding streets. 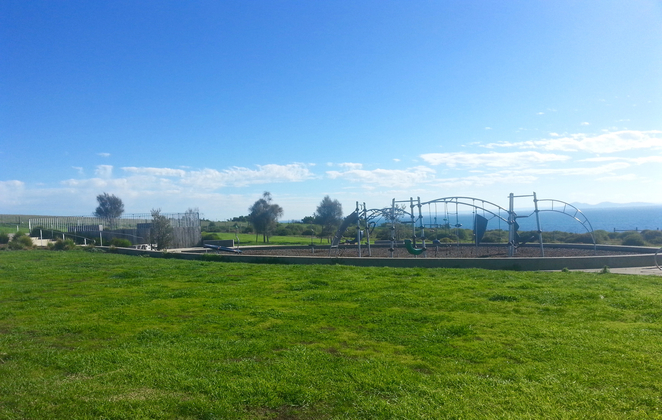 Overall, it's a nice reserve with fantastic views of the bay. Why? To have a picnic, do some boat-spotting, take the kids for a play at the playground, go for a run or take the dog for a walk.